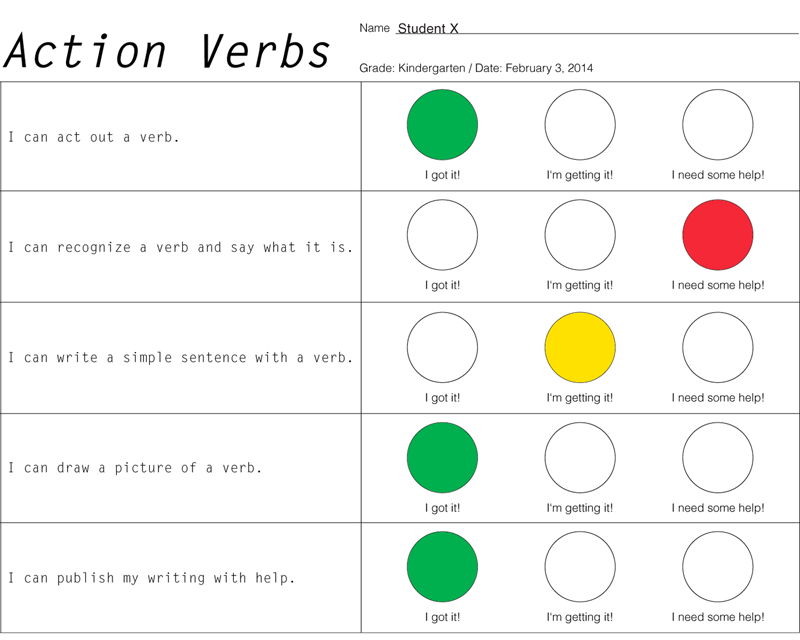 Objective: Students will silently act out action verbs and try to guess what verbs their peers act out. Objective: Wearing special verb investigator glasses, children will observe their peers playing, spy an action that represents a verb, write it, and draw a picture of it. Objective: Students will publish their writing using Little Bird Tales with guidance from an adult. For small group instruction, children are called over to the work table to become Verb Investigators! They put on special glasses (crazy sunglasses that have the lenses popped out of them) that will help them observe verbs in action around the classroom. Wearing their glasses, they look around the room and observe their peers playing at each center. 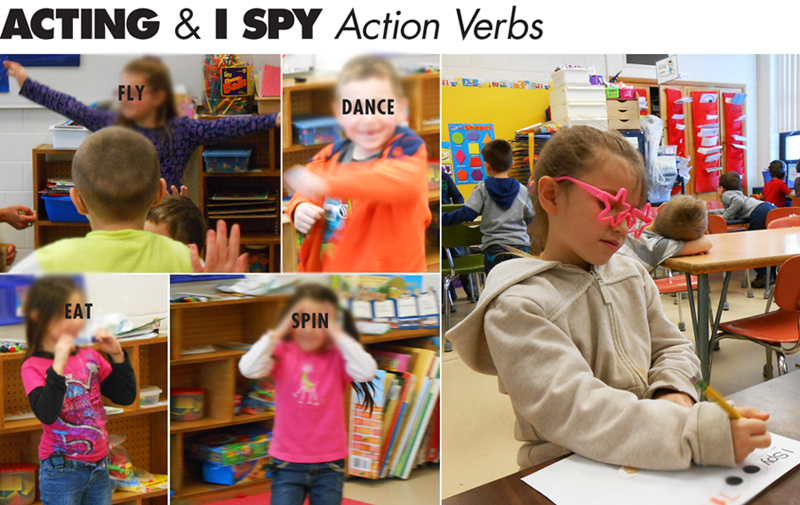 Once they spy an action verb, they write a sentence, "I spy _____." Then, they draw a picture of the verb. Children collaborate and create a video story using Little Bird Tales with the teacher's guidance to publish their writing to share with their families. Here is a link to the tale we created on action verbs. After the lesson, students assess themselves using a rating scale: GREEN = I got it!, YELLOW = I'm getting it!, RED = I need some help! (printable) Click here for a teacher checklist assessment.